Oz will host a panel on Saturday, Aug. 25 as part of a Health & Wellness Expo taking place at the Cherry Hill Mall. Photo Courtesy of Sony Pictures Television. Dr. Mehmet Oz wants people to lead the good life. 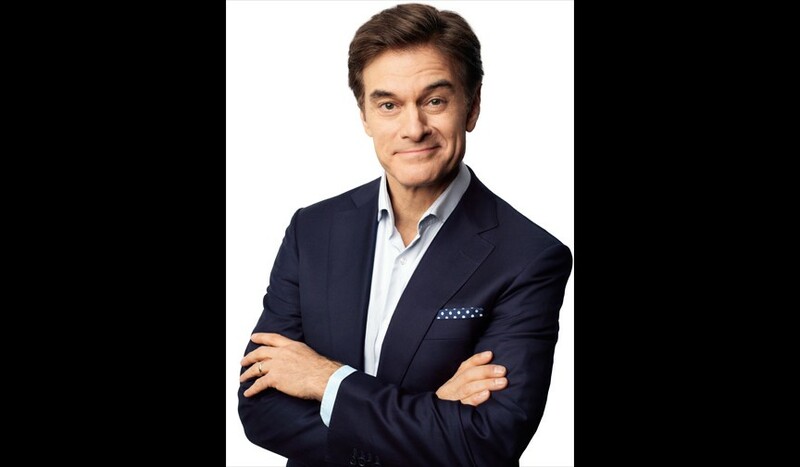 For the last decade, he has devoted “The Dr. Oz Show” to teaching people how to do just that, and on Aug. 25, he’s coming to Cherry Hill to spread the word that health and happiness are within reach. “The good life, just to define it, is what you really want out of life, which I would argue is to be a little better every day than you were the day before,” Oz said. Oz will host a panel with Centria Autism Services and Jefferson Health of New Jersey as part of a Health & Wellness Expo taking place at the Cherry Hill Mall. With his show celebrating a decade on air, Oz said the expo marks the kickoff event to launch the 10th season. The title of Oz’s discussion is “The Good Life,” and he’ll speak about how to tackle life’s imperfections. From weight loss to dealing with anxiety, Oz said his goal is for attendees to leave with concrete information they can share with their friends and family that same day. Oz said he utilizes video clips, and he often brings audience members on stage to interact with him during portions of his speech. He said taking questions from local people is a critical part of any speech he gives because it allows him to understand what health concerns are on people’s minds. In the last 10 years, Oz said the most important lesson he’s learned is taking the time to listen. He said the biggest problem in medicine is doctors often know the right response, but they don’t always hear what patients are saying. He said it often takes time for patients to fully express a problem, and unless they are given the room to do so, he can’t fix the issue. His goal in travelling to give public talks is to hear what issues people tackle in their daily lives. He said he feels his sensitivity to the challenges people face is improved when he gives these talks. Oz said, for instance, while the health sector emphasizes fresh, organic produce, but in his talk he hears the cost is an obstacle, then he knows it’s important to emphasize frozen vegetables provide these same nutrients. He said his talks are free on purpose because he doesn’t want money to be an obstacle to these insights. His talks focus on breaking down information in a straightforward and simple way. He said life has gotten more complex, so his goal is to break down topics like weight loss or stress in simple ways that give people the tools to get started. “It’s news you can use and that you can tell your friends about that day,” Oz said. Oz’s team of medical experts continually stays on top of the latest developments in medicine. He said he receives a 10-page summary of the most important medical insights every day. For Oz, his goal is sharing information, and he said giving these public talks are often a head rush for him because people are so eager to receive the information he has to give. Oz will appear from noon to 1:30 p.m. at the “Centria Autism Services Presents: Health & Wellness Expo with Dr. Oz.” The event is sponsored by: The Sun Newspapers, Jefferson Health of South Jersey and Horizon Connect of New Jersey. The expo is free and open to the public, and seating will be on a first-come, first-served basis. To find out more about the event, visit https://www.eventbrite.com/e/dr-oz-at-cherry-hill-mall-tickets-48694034167 .